Yon rega sou nouvèl nan lemond an foto. 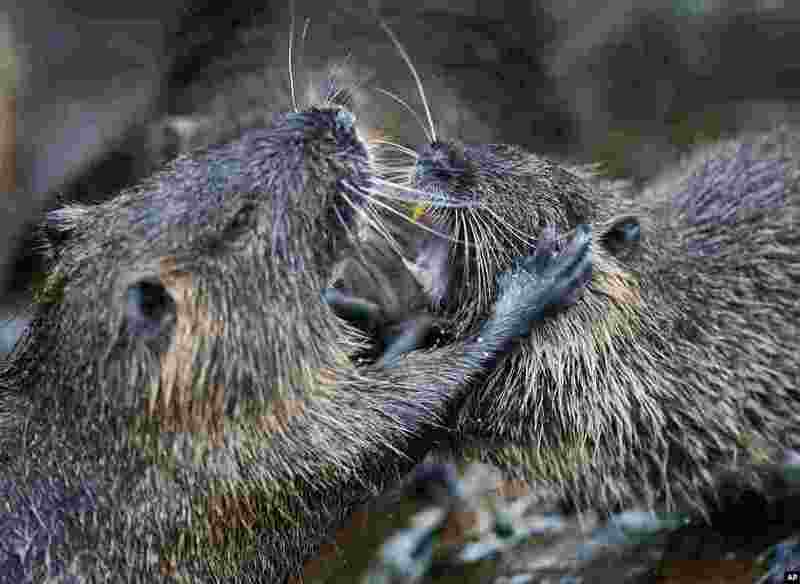 5 Two nutrias fight for a piece of bread thrown in by a passer by in a pond in Frankfurt, Germany. 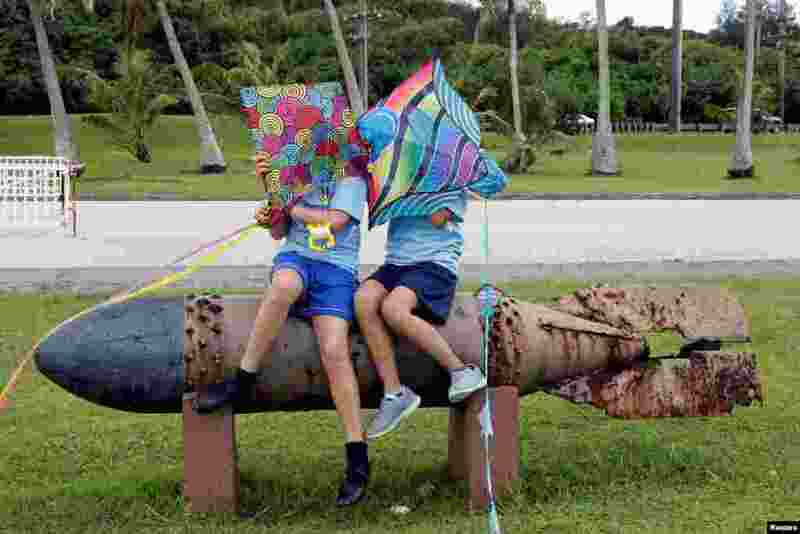 6 Pupils sit on the World War II remnants of a torpedo at Asan Memorial Park on the island of Guam, a U.S. Pacific Territory. 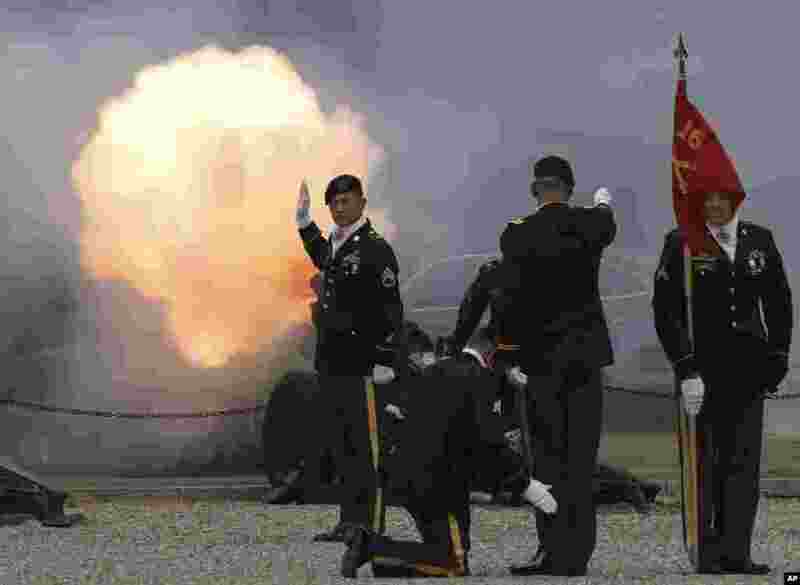 7 U.S. soldiers fire a salute during a change of command ceremony for Deputy Commander of the South Korea-U.S. Combined Force Command at Yongsan Garrison, a U.S. military base, in Seoul. 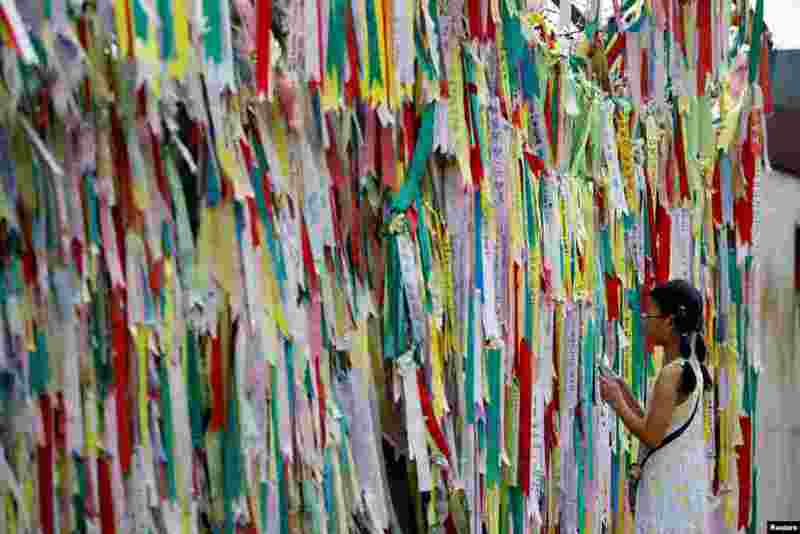 8 A girl looks at a barbed-wire fence decorated with ribbons bearing messages wishing for the unification between the two Koreas near the demilitarized zone separating the two Koreas in Paju, South Korea.